I have a few friends that are Chinese and I find it fun to chat to them (or at least try to chat to them) on the computer via MSN and the likes using their native Chinese language. 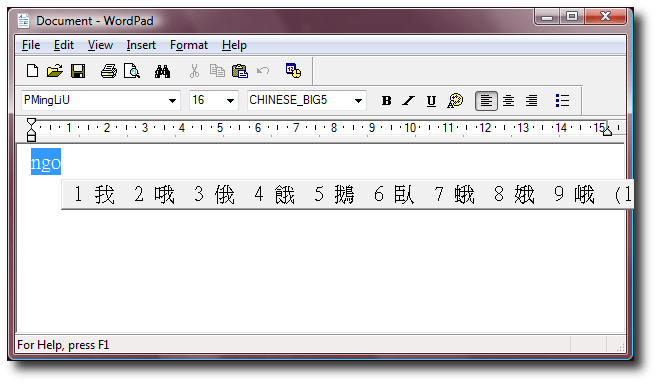 Initially I was using the Windows handwriting recognition IME (input method editor) to enter things in Chinese using the mouse, but I found this to be quite time consuming for long conversations and a little frustrating on the occasions when the computer was unable to decipher my handwriting. Another option was to use the phonetic IME to enter words in Chinese allowing you to type in the words more-or-less as they sounded using the standard English alphabet. Although this method is undoubtedly faster to input Chinese text, I have the problem that the standard Chinese phonetic IME is based on Mandarin Chinese and not Cantonese which is what I am used to. (which means I’m fine) in Cantonese would be ngo han hou, but in Mandarin Chinese it would be wo hen hao. For some reason Cantonese sadly seems to get very little support, not just with IMEs but in a lot of other areas too. Very few places local to me offer courses in Cantonese although there are plenty of places offering Mandarin Chinese courses. Yeah I could try and learn Mandarin, but I thought that there must be an easier way for me to chat to my friends on the computer in Chinese. You have the option of downloading CPIME with Standard Cantonese Pinyin, Yale, Jyutping or Sidney Lau romanisations depending on what your preference is. I am more familiar with the Yale system so I will just deal with that one here. Once downloaded you will need to unarchive the CPIME folder. Installation is very straightforward and all that is involved is right-clicking on the file called Install_CPIME.INF and then clicking Install from the pop-up menu. The next step is to configure Windows to use the CPIME. The instructions here are for Windows Vista, but the process is similar for Windows XP. There are Windows XP specific instructions on the CPIME website. 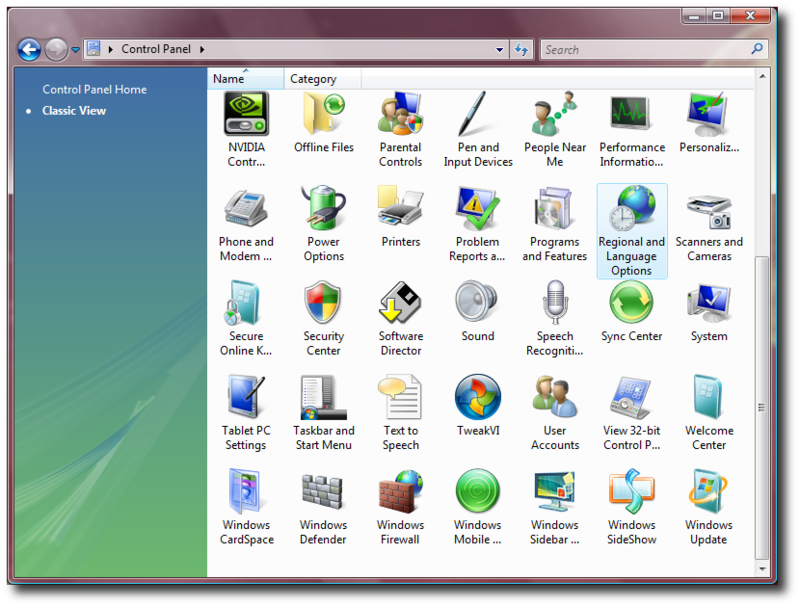 First of all open the Windows Control Panel and double click on the Regional and Language Options icon. Here we want to click the Keyboards and Languages tab and then click the Change keyboards… button. You should now see the Text Services and Input Languages window. Click the Add… button. Browse through the language list until you find Chinese (Traditional, Hong Kong S.A.R. ), expand it and tick the Cantonese Phonetic IME (CPIME) option. Now click OK.
As you can see CPIME has been now been added. Click the OK button to finish off. Now that CPIME has been installed and configured for use it is time to give it a quick test drive! Open up an application such as WordPad. In the language bar you should see the letters EN (for non-English systems this will be different). Click on this and you will be presented with a pop-up menu with the different language options. Select ZH Chinese (Traditional, Hong Kong S.A.R.). 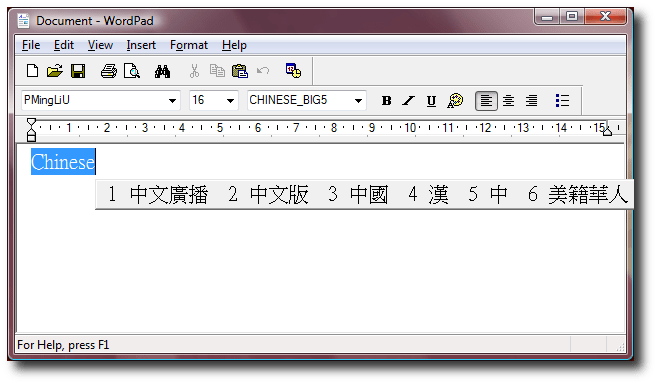 If you start typing something like ngo into the WordPad window you will see a bar appear with various Chinese characters in it. You can either use the space bar to go through the different characters (of which there may be more than one page) or you can press the corresponding number to enter the character. The one we are looking for is the first one so just press 1 on the keyboard. And there you go, you have just entered the Chinese character for I or me! There are a couple of things that I really like about the CPIME. The first is that it knows common phrases such as sang yat faai lok (which means happy birthday). Another nice feature is that you can also switch between Chinese input and English input by pressing CTRL-J on the keyboard. By default the keyboard input uses a US layout. I found this a little annoying since I use a UK keyboard. I contacted the CPIME developer regarding this and he was more than helpful to instruct me on how to change the keyboard layout. 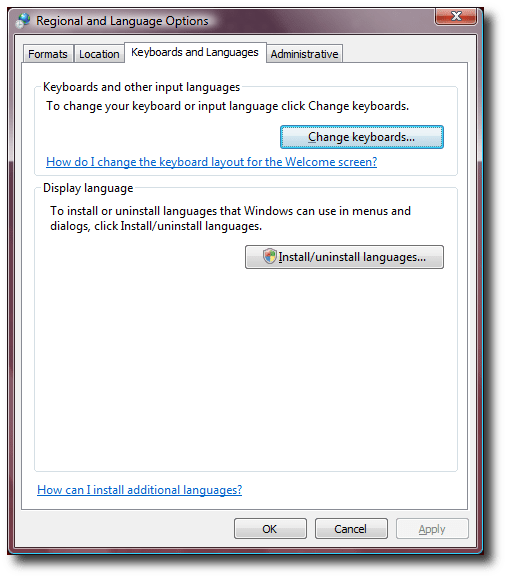 The keyboard layout is defined in the Install_CPIME.INF file at lines 45 and 50 and can be changed by editing KBDUS.DLL at these lines to KBDUK.DLL. Once this is done just install the IME using the same method as already mentioned. does this works on Windows7?? Yes, CPIME also works on Windows 7.
can you teach me how to get this work on Win7? You should hopefully now be set up for using CPIME. All that remains is to select it for use which is done by clicking on, in my case, “EN” on the start bar (yours may be different if you computer is set for a language other than English) and select “ZH Chinese (Traditional, Hong Kong S.A.R.)”. got it! thank you so so much! I’m using window 8.1. after pressing install but is not running, what should I do now?? Once you have installed CPIME you will need to go to the region and language options and add CPIME to the list of available input options before it will be usable. Hi there, I use CPIME on my surface book which has a high resolution display. The bar with the characters in is so small that I can barely see the characters…. is it possible to enable scaling on this? Apart from lowering the resolution (which I do not want to do as it will then defeat the object of my getting this laptop! ), is there any way to make the character bar bigger? I don’t think there is anyway to enable scaling on CPIME without changing the screen resolution or possibly enabling Windows’ own scaling. I’ve got a Surface Book myself, so I’ll have a look and see if I can give you any tips. Failing that you could contact Karl Tso, the author of CPIME, and ask for CPIME to be DPI aware or have a scaling option. Hi Francis, thank you very much for your message. I have tried searching everywhere for Karl Tso’s contact details, but cannot seem to find it. There does not appear to be any contact section at CPIME.HK, neither can I find him on facebook – although there are Karl Tso’s, I couldn’t tell which one is the correct one…. do you know where I can find these details? It doesn’t look as though CPIME has been updated since 2010! Might be neglected by now! I’ve contacted Karl with your query on your behalf. The e-mail address I have for him is from 2009 so I am hoping that he is still using the same address and that you will hear from him soon. Hi Francis, that is very kind of you. Thank you very much. Hi all, nearly one year on and there still does not appear to be any update to the software. Such a shame as I cannot use CPIME on my laptop – the character bar is so small – even with screen resolution massively decreased. I’ve tried using the magnifier tool – but this never has been overly effective. I’ve started using Google Input now – it’s no where near as good, but at least it can be seen. I never heard anything back from Karl, but the e-mail address I have for him may no longer be active. I have though just found an alternative e-mail address (cpime.hk@gmail.com) to which I have forwarded on my previous message. Let’s see if that gets a response. If I get a chance tonight, I’ll also have a look at trying to find a solution to this problem. thank you very much for that. I think I have emailed that address before – but no one ever responded. Just have to keep on hoping!